When you want people to click on links you make a meaningless list of items that are vaguely funny, right? Right. 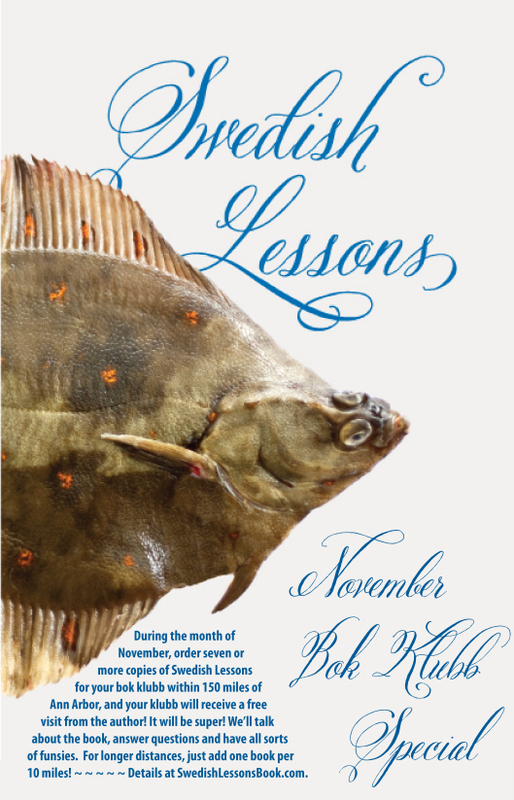 OK, so here is my Buzzfeed-esque reminder that it’s Swedish Lessons Bok Klubb Month, y’all! You know you want to do it. It’s time your bok klubb wine was spiced, warm and had crushed almonds raisins in the bottom. It’s much less effort and stress than going to IKEA to get your Swedish culture fix. Your bok klubb keeps forgetting to actually talk about the book you read, and having an author there might keep you on task. That one member of your bok klubb who always overdoes it with book-themed foods and decor will be impressed with/jealous of someone else’s hosting for once. I don’t know, I’m pretty fun. I think you’d like having me over. Learn all about how you can transform your regular ‘ol book club into a Swedish Lessons Bok Klubb any month of 2014 you want here.